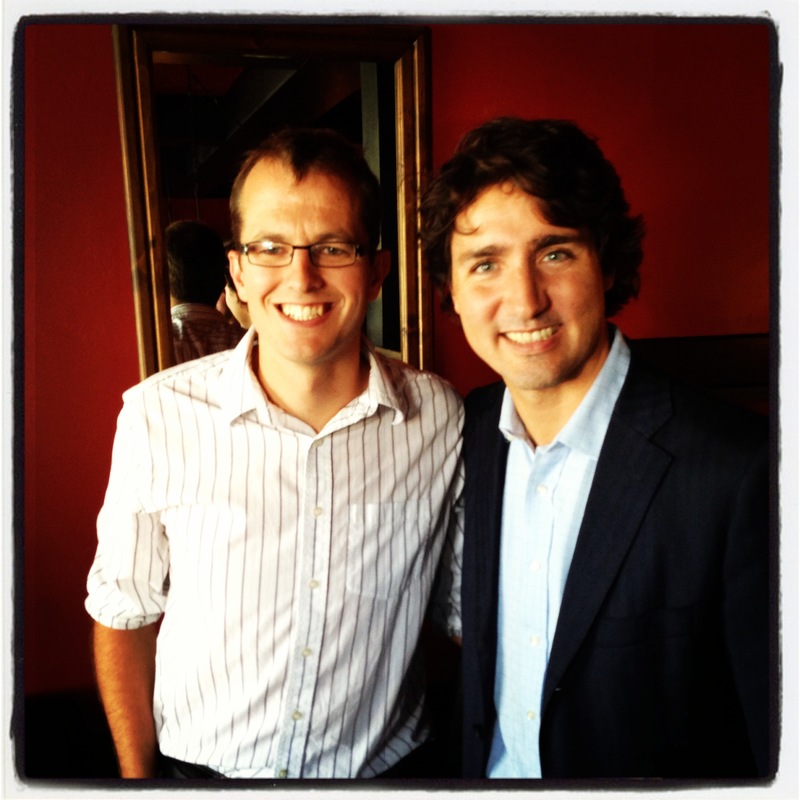 I met Justin Trudeau. And Terry, Carolyn, Maria, and Ted. Byelections are fun. Instead of over 300 seats being contested across the country, right now there are only four. So that means plenty of opportunities to meet politicians who usually don’t come to little ole’ Southeast Manitoba. I heard through a friend that Justin Trudeau was coming to town, and that he was having an unpublicized lunch at a local restaurant. How often does any leader of a national party come to Steinbach? So naturally, several of us (conveniently) arranged to have lunch at that restaurant where Trudeau was going to be. I knew that he’d be meetin’ and a-greetin’ us common folk (he even went to say hi to the dishwashers), so I figured that when he came to our table, this was my best chance to influence federal policy. The federal government is in charge of education on reserves, and they budget 7000-8000 dollars per kid per year. Off reserve, provincial governments budget 10000-13000 dollars per kid per year. So that means each child going to school on a reserve is getting underfunded by several thousand dollars per year. For 10 years of schooling, that’s up to 50,000 dollars less per student that’s been invested. Think of all the supplies, curriculum, libraries, sports equipment, technology, and quality of teaching, not to mention all the communities that don’t have high schools. The on-reserve graduation rate is 45%. One of my friends teaching on a reserve says they have good, qualified teachers turn down positions because the salaries are two thirds of what they can make off-reserve. I mean, really. Think through the long term ramifications of underfunding education for an entire segment of the population. So I did. 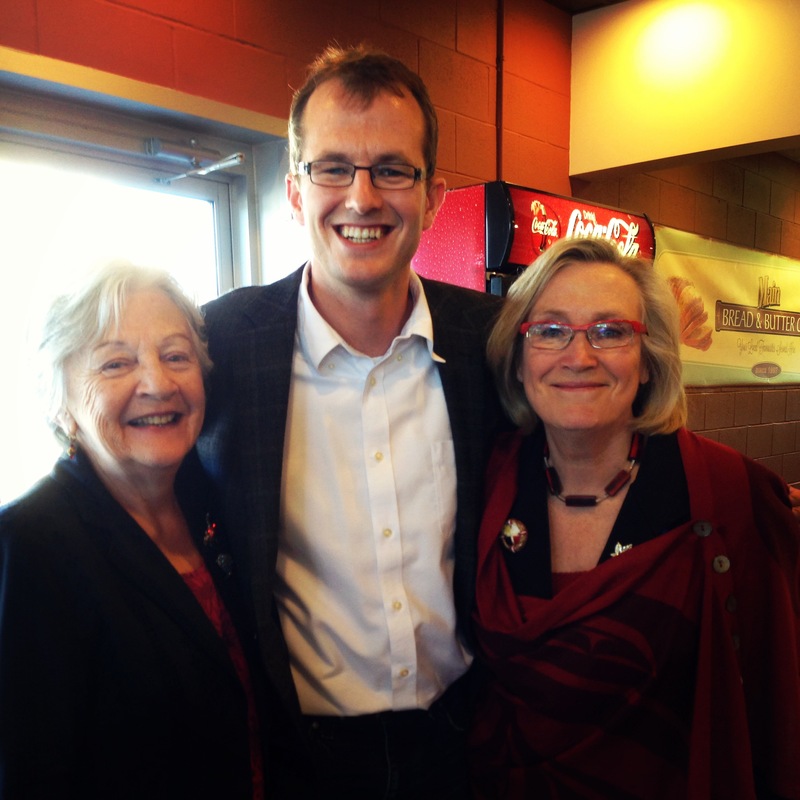 Here we are (along with Liberal Senator Maria Chaput). I told both of them the same thing, and they both agreed that education levels should be on par with the provincial standards. Carolyn said that they did have a plan in the Kelowna Accord, that it had hard targets for funding and graduation rates, but that was cancelled fairly quickly when the Conservatives won the last election. And then she also said that people in Ottawa were recently spinning numbers to make the discrepancy not so big (they were including kids from reserves finishing high school off-reserve, which means that they have to pay the local school boards equivalent tuition). Sigh. I am fully aware the Liberals were in power, and then the Conservatives, and that it’s all a game and everyone spins everything to what they want. But at this point, I don’t care who caused it or who will fix it. Just close the funding gap already. I live in a riding that is predominantly Conservative, so I figured I’d also work that angle. 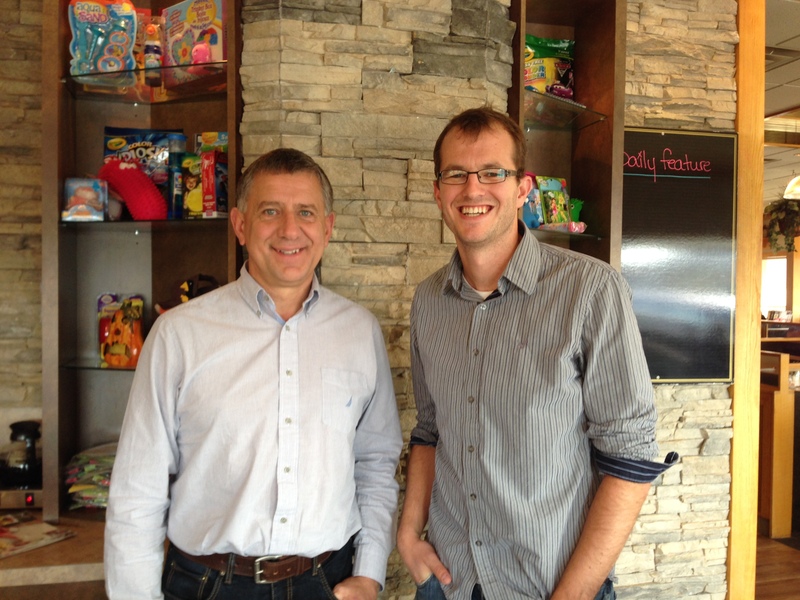 So I went for coffee with Ted Falk (he’s a nice guy too), the local Conservative candidate. I figured I’d throw him a bone right off the hop and I told him I wasn’t going to hold him responsible for the behaviour of Mike Duffy (smile). I explained a little bit about the underfunding of education, and he very honestly admitted that he didn’t know very much about it (honesty is so refreshing from politicians), but that he was willing to learn. While we disagreed about some other things regarding treaties and the Indian Act and the supports the federal government provides, we both agreed that on reserve students should be as equally funded as off reserve students, and that education was probably one of the best ways to ensure a bright future for all Canadians. So there you go. I met Justin, Terry, Carolyn, Maria and Ted, and we all agree that the funding gap should be addressed. Good. I’m glad we’re all on the same page. I now look forward to someone doing something about it. Just a couple of quick questions… When was the last time any backbencher in the Harper Government had any input on Harper’s policies? How does that fact compare to Justin Trudeau’s direct statement to you, along with the others, including Terry, who as you said went out of his way to contact you and will have direct influence with Justin, likely the next PM? That’s brilliant – nicely done. Studies have shown that education (and safe affordable housing) is more fundamental to well being and community development than health and other factors.